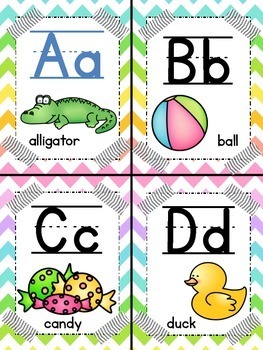 Brightly colored chevron word wall headers with visual cues and lines that demonstrate proper letter formation. 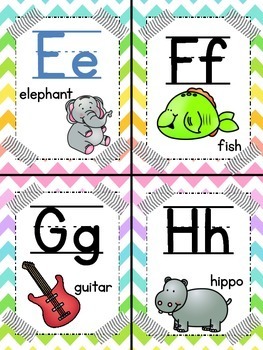 Word Walls are a great anchor tool for helping children to recognize and spell words properly. 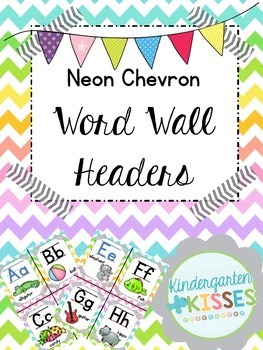 Rainbow Chevron Word Wall Headers. 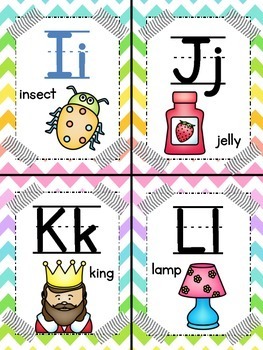 Navy Chevron Word Wall Headers.